Here's where to watch every episode of An Klondike season 1. Mouseover or tap an episode to see where to stream it. Click or tap the play icon to stream it on the best available service. 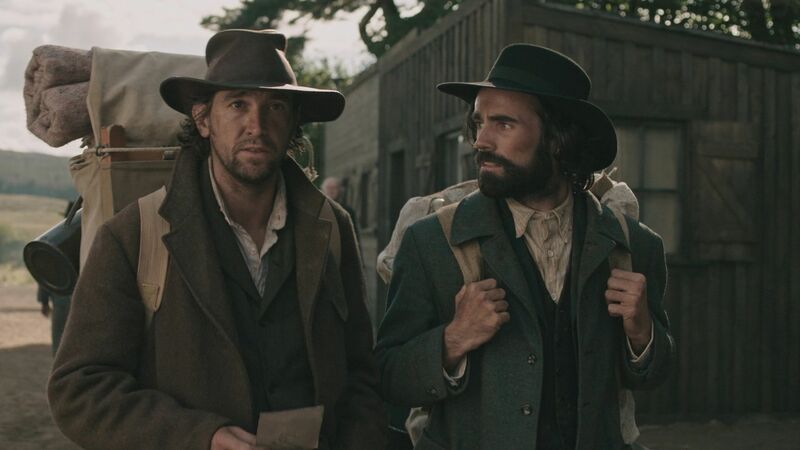 Episode 1 Sep 8, 2015 When news of gold in the Yukon reaches the Connolly brothers, they travel north to make their fortune. Settling in the small town of Dominion to stake their claim on the Klondike River, Tom, Padraig, and Samus quickly make both friends and enemies among the eclectic townsfolk. Episode 2 Sep 15, 2015 The feud between Hopkins and the Connollys escalates, and the consequences could be deadly, especially when JJ?s domineering father returns to Dominion. Seamus and Kate grow closer, and the brothers continue mining their claim in hopes of finding gold. Episode 3 Sep 22, 2015 The Irish community in Dominion celebrates St. Patrick?s Day, while Jacob plots against Samus. Estella works to recruit more innocent girls for the brothel, and Kate keeps a secret from Sam. After finding gold in their claim, the brothers? trust in each other begins to deteriorate. Episode 4 Sep 29, 2015 Tensions between the brothers are worse than ever before, and Tom's obsession with the claim threatens to ruin his other relationships as well. Kate hides her pregnancy from Sam, and when an accident derails Samus's plans to make a fortune, his debt to Jacob could mean he has to betray those closest to him.